We'd like to welcome all possible new recruits to our organization. We value our members as well as our organization. We are only looking for enthusiastic individuals who enjoy playing CZ, CS1.6, CS:S, etc. 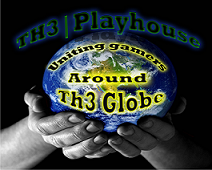 In order for one you to join our fine establishment, we require that you fill out an application presented by us @ Th3|Playhouse and one of our sponsors EmailMeForm.com.